Chris Smeal Golf: Guiding and coaching players toward reaching their full potential. My passion is to help you play better golf now and for a lifetime. If you are ready to take your game to the next level please schedule Lesson! Please browse the website to learn more and call 619-339-2377 if you have any questions. 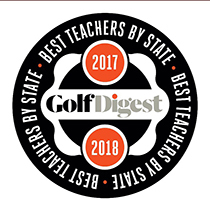 Chris Smeal teaches golf full-time at his Private Coaching Studio at Stadium Golf Center in San Diego, CA and is the founder of one of the World’s Premier Junior Golf Programs – Future Champions Golf. © 2019 Chris Smeal Golf All Rights Reserved.